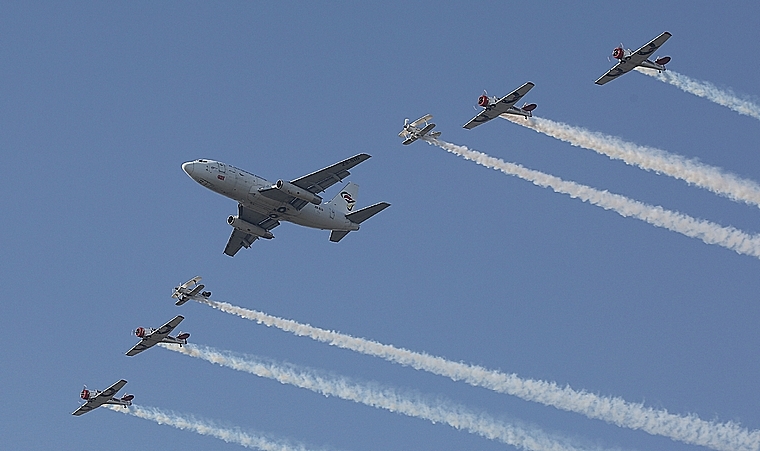 The show was opened by a parade down the runway accompanied by the safety and emergency protection vehicles. 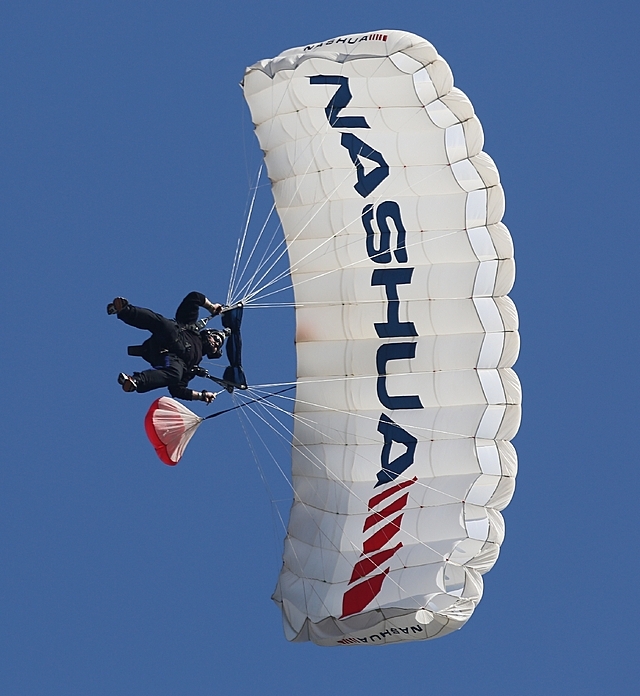 The Durban Skydive team then did an impressive skydive from a Cessna flown by Barry de Groot. This was followed by the Trojan flown by Jason Beamish and owned by Meno Parsons. It is not every day that Meno entrusts his beloved Trojan to be piloted by someone else. 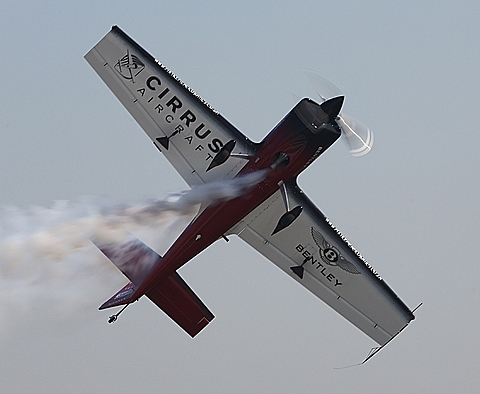 Next up was a dual aerobatic display by Nigel Hopkins in his MX2 and Neville Ferreira in his Slick 540. Next up was the Yak Attack and Nanchang display piloted by the boys from Virginia. 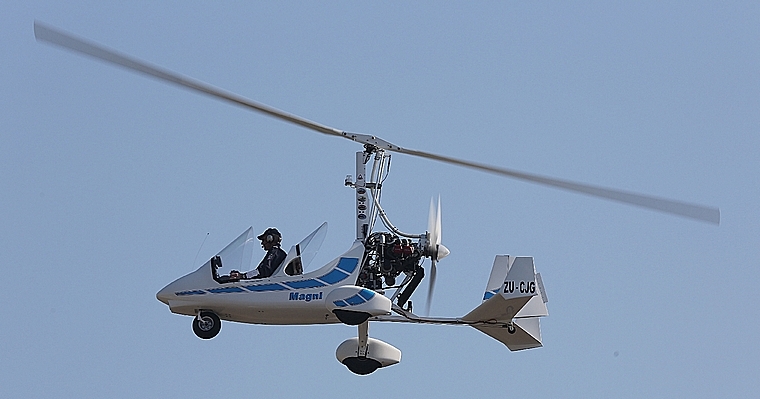 The Magni Gyro then took to the skies with an impressive display. 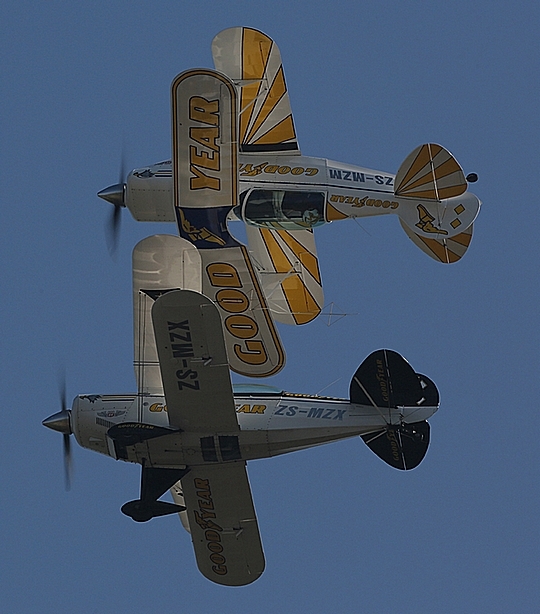 The Good Year Eagles Pitts led by Dennis Spence did their fantastic three ship display that had the crowds cheering in delight. 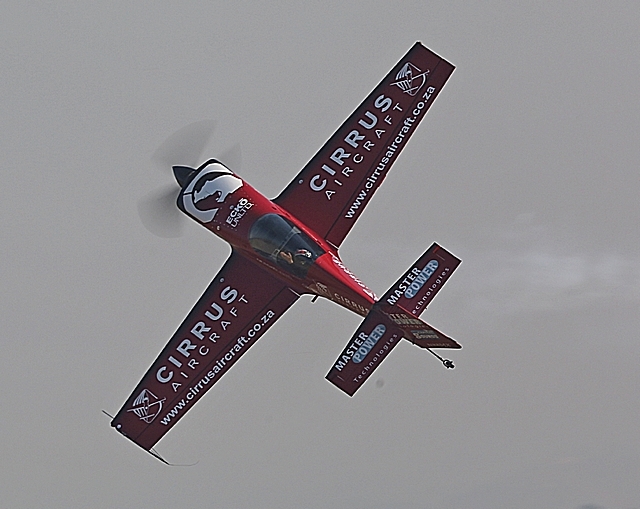 Neville Ferreira in his Slick 540 then did a solo aerobatic display which the crowd loved. 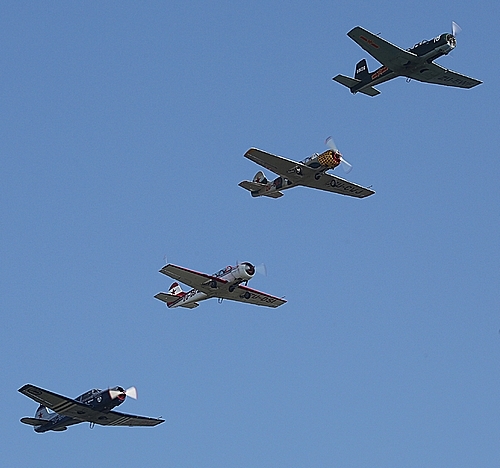 The Eqstra Flying Lions followed with their formation display in the Harvards. 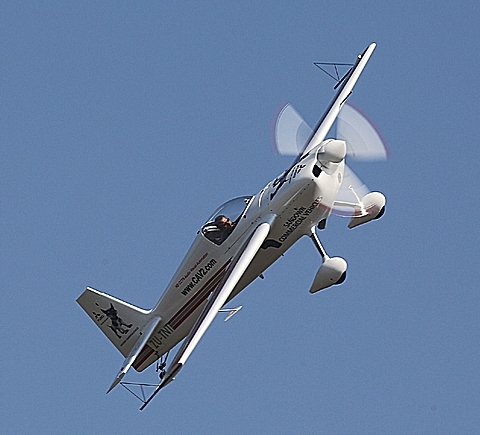 Nigel Hopkins in his MX2 did his riveting solo aerobatic display. Scully Levine then took the Tiger Moth up for a display, much to the crowds delight. The Federal Air Cessna 208B Grand Caravan ZS-THR the official airline for the KZN Winter Air Tour then took the scholars from the development programme for a flight. The L29 Delfin flown by Martin Schultze was the only jet in the lineup to display his amazing Russian jet ZU-VLL. Then came the highlight of the show that the crowd had been waiting for. A Boeing 737 flown by Dennis Spence flanked by four of the Eqstra Harvards and two of the Good Year Pitts Specials did an awesome formation flypast. What an unbelievable ending to the show. As always mention must go to Capital Sounds for entertaining the crowds, John Neilon Safety Director and Peter Graham Ramp Director for a safe airshow. Also a big thank you to the organizers for hosting the media to a scrumptious luncheon in the VIP area where the government dignitaries were being entertained. 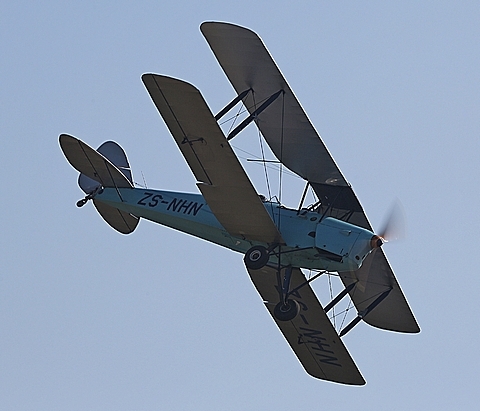 The next Airshow in the KZN Winter Air Tour will be held at Mkuze next Saturday the 21st June. Be sure not to miss this one.